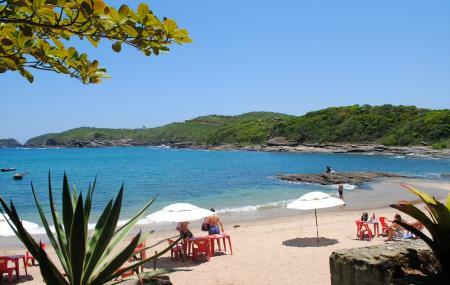 A charming beach known for its toe-shaped shore and beautiful sunsets which are sure to make any evening in Armacao dos Buzios a rather romantic one, make this a special place. The beach has one bar and is a good place to stop and see yet another of Buzio’s wonderful natural landscapes. A small nearby mountain is a locally loved hiking spot with a serene view of the sea. Wear sunscreen and carry a change of clothes if you want to go swimming. How popular is Forno Beach? People normally club together Tartaruga Beach And Park and Brava Beach while planning their visit to Forno Beach.